Hi Mauro! How to buy your most recent album? It would be great if you could add new songs on N1m as well. Sorry to bother you, i'm trying to purchase your songs on N1M and your link to itunes store was nowhere to be found?! Hi! Found your site on here and glad I did! Listened to ISOLA DI POLVERE, fantastic feeling - hope you go far - you deserve it! Don't give up! what an absolutely mindblowing music you have!! wow wow wow!! Today your N1M page has been distributed to all my social accounts. Let's raise your army of fans! Your music is worth listening to and worth buying. I believe all radio stations will add your songs to their playlists sooner or later. Don't forget me when you're famous. Hi Mauro, You're amazing, talented, and your music shows it. You work so hard and everyone knows it because everyone can feel it in your music. You're so inspirational, and Thank you for that. Isola di polvere: We liked this song, its always nice to hear this type of song. How was this recorded was it a live take or studio. When we hear this song it reminds us of our tour of Asia. Taking in countries like Thailand, Cambodia,Laos and China. La tua comica televisione: This is very good to listen too. The musicianship is very good. The same with the recording. This is very enjoyable music that even my parents really like. I wish this musician the very best. I just discovered Mauro Cipri "by accident" on N1M and I have got to say: cool stuff! One man and his guitar. Simple but fresh melody, this guy can sing! Cool song (Il viandante), cool sound, its kind of soft and rocks at the same time. Will definitly come on my playlist! Il viandante: Hey, I just want to thank you for your existence. I'm not able to find words for the feeling I have when I listen to your songs. It was pure chance that I have found you on N1M..and I'm so glad about it. Well, my favorite song is 'Il viandante'. keep spreading your music! Happy Holidays! And best wishes for 2018. Come potrei: Nice melodies, good performing, nice production with a very nice voice. I like the italian language, reminds me of the many holidays I've been there. This is the soundtrack for my holidays in order to have a successful relaxation. Shaking to the vibe of this song, humming with the melodies and dreaming of a Lover in this lovely country with the best food one can imagine. Stay this way and make your way! Isola di polvere: Parabéns, diferente! Psicodélico! Parabéns, diferente! Psicodélico! Parabéns, diferente! Psicodélico! Parabéns, diferente! Psicodélico! Parabéns, diferente! Psicodélico! Parabéns, diferente! Psicodélico! Parabéns, diferente! Psicodélico! Come potrei: Great mix of a Chris Isaak meets Pink Floyd kind of tune. I liked the production, was very well done, I wood brighten the vocals a bit more to help them stand out on their own. musicianship was well played and dream-scape like, carries you through with a floating sense of traveling through time,I would bring the chorus back in for a final appearance because it is so nice to finish off the song, just my quick opinion, but overall very nice, good job! Senza arrivare mai: Realy nice and overwhelming music whiteout getting lost in a swamp of sound. You still hear the details of every instruments and the vocal. Some synthesizer sounds are not really original and tend to factory settings, It would be better if you try to find your own sounds. Maybe you did, but thats what i can hear in your music. For the overall i'll think you've got a great felling what makes your music so beautiful. Good work. Il vicino di casa: Very mellow sound that really sets the pace of the tune. Intro was well done and made me feel as though I was traveling somewhere in Europe. In fact the whole tune made me feel that way. Your vocal is smooth and appealing to the ear. It sets very comfortably in the mix. The melody takes a while to develop, however that is most likely what you intended to set the vibe. Nice job not killing it at the bridge/ hook, subtlety making changes here and there. Thanks for the listen, enjoyed it. Best of luck to you. Testimone: Nice full sound, all the levels are great, I've been doing the same, do it yourself, no drama that's how you do it on the web now. Nice melodies with the second guitar.nice harp playing, you could dance to it no problem. Isola di polvere: The music is perfect in its originality and simplicity. Easy listening song. The melody and style of music reminds me of Europe. I have no comments in this song. Great job. Cheers from Nepal!! Come potrei: I'm really like your style and I really like the song your music is very unique and creative and inspiring to me very unique and creative and well put together and well composed never stop creating keep on going to the next level of greatness I listen to all types of music and I love creativity anytime I would love to hear more of your music your style is awesome and unique thanks for sharing your craft with the world keep on going God bless you in all your endeavors. Senza arrivare mai: Nice Everyone To All Genres we're going to The Music World with The feeling , everyone have a talent in himself, the Music Is Very Good In The Life, We're need a talent and spit on The life, feeling, loving, or etc.., Making Music And keep On It..
Isola di polvere: I enjoyed this tune. I liked the mix of moods that lent themselves to a light and transient feeling tune that i found refreshing. As non Italian speaking guy from the UK i had no idea what the lyrics meant, though that didn't detract from my enjoyment of the tune and i found them to be very melodic. The song was well mixed and produced very well, giving it a pro sounding feel, which was great. Nice work. Il viandante: Interesting lyrics hidden behind multiple layers of acoustic and electric sounds. Of course some patterns are repeated and almost obsessive, but it's only because all the whole band is made by one guy with his guitar and loop station. And he manages to run a full, maybe a lil long song of 5 minutes in which everything is in the right spot to transmit the same feeling as those evocated by tghe words he sings. Keep doing it! il viandante: Nice Everyone To All Genres we're going to The Music World with The feeling , everyone have a talent in himself, the Music Is Very Good In The Life, We're need a talent and spit on The life, feeling, loving, or etc.., Making Music And keep On It..
Come potrei: First of all the beat is hot and the intro is very invitational. The hook is catchy and nice, and the lyrics are pretty good. Overall I see greatness in this song. It has potential to top the charts. Keep it up! First of all the beat is hot and the intro is very invitational. The hook is catchy and nice, and the lyrics are pretty good. Overall I see greatness in this song. It has potential to top the charts. Il viandante: Wonderful performance, Great tune, lovely dreamlike passage, not sure what his lyrics are like because I don't speak the language but his voice is very good. Thourghly enjoyed this, highly recommended! Il viandante: Really nice and lovely song you've got there. At first i thought when i hear the guitar in the beginning like "yeah humm" but when the rest of the music comes in, i almost blown away, how musical this is. Your low voice sounds so great and it fits really good in the music. Really good recorded as well, but if i may give a point of criticism. The acoustic guitar could be a bit less in volume. In my opinion, this would be more overwhelming when the rest of the music coms in. For the rest, it's a beautiful piece of music/song. La tua comica televisione: Nice Everyone To All Genres we're going to The Music World with The feeling , everyone have a talent in himself, the Music Is Very Good In The Life, We're need a talent and spit on The life, feeling, loving, or etc.., Making Music And keep On It..
La tua comica televisione: Great vocal of yours and the music very pleasing to the ears. Definitely a type of song that is very relaxing. Wish you all the best and more success to have more songs for the music lovers. ricordi: good sound I do not understand the lyrics but the melody is nice the guitar and percussion help alot with the flow of the song sounds like accordion to me in there as well along with the strings nice. Senza arrivare mai: Upon the very first listen to Mauro Cipri's "One Man Band Loop Station", I am reminded of several of the excellent mid 1980's Synth-Pop bands. While the writing/songcraft and performance are reminiscent of the bands and acts from that era, he definitely has a sound that is uniquely his own. I will very much look forward to hearing any more new music from this very impressive artist. Come potrei: I don't speak your language but the music speaks for you. Really interesting sound and feel. There's a longing in the music i identify with. My only criticism is the ending, it needs more than a fade out. Keep writing. Please. Isola di polvere: A nice and later back song very unique and well composed and well put together sounds really good I grew up listening to all types of music keep on going I hope this been helpful for you have a blessed day and may God bless you in all your endeavors stay creative. Testimone: In this beautiful folk song .... very good production and beautiful and simple orchestration with musical instruments that bind well to each other, giving this enjoyable musical result ... I really like the voice that sings and seems to feel totally Meaning of the lyrics ... the conclusion of this because of the expressiveness it puts in the interpretation and not because I know Italian ... wonderful and harmonica, which for me steals the musical performance of the piece, with the melancholy atmosphere that exudes .... A song that will please you surpassed because of the excellent work that has been done and the sensitivity they have shown over the all coefficients !!!!! Testimone: I really like the song sounds really good very creative and unique and well put together and well composed and well written keep on making great music and never stop creating stay who you are hope this been helpful this is my opinion the song I like a lot may God bless you in all your endeavors and have a blessed day. Il vicino di casa: Una canzone molto intrigante. Questa è una grande canzone, mi piace molto l'intro e il sound background sounds.The la qualità del suono complessiva è grande e la voce suona bella. Grazie per aver creato una canzone così bella. Senza arrivare mai: This song struck me as a mix between the smooth jazz grooves of Spyro Gyra combined with a classic rock sound similar to Sting with The Police. Very musical and calming. If you have never checked out the album "Love and Other Obsessions" by Spyro Gyra I would highly recommend it as your music has a very strong smooth jazz feel. Did you utilize a digital programs for some of your accompaniment or is it recorded as a live band? Bravo to whomever engineered your mix and master. Very well done, I enjoyed this track. Thank you for sharing. Come potrei: I like the dream like quality to this song. Yet at the same time has a very rocking nature. I have not heard anything from this artist that I didn't like. Very talented musician. Keep up the awesome work! Il viandante: Absolutely fantastic, I liked this so much I had to pause it, get MY acoustic guitar and start from the beginning of this song. I am HUGE fan within the span of about 3 seconds and I would like to meet this excellent musician. YEAH!! Il viandante: This song catches you right from the starting line and keeps you engaged. I love the way it flows and the mix of instruments with the voice. The vocals are clear and easy to understand. Sweet Work! Keep up the awesome work! Ricordi: Genova, Italy's Mauro Cipri is a one-man-band talent. Ricordi is a very enjoyable track with well-layered sounds including acoustic guitar, harmonica, shaker, and other assorted percussion. Bravo! Isola di polvere: But really who cares it's definitely ear candy. Very cool guitar parts, a vocal reminiscent of an Italian Cold Play style. I think if I had any criticism at all, I'd say maybe overly slick, but what doI know... I'm a blues rock guitarist. Anyway, I liked it and I'd listen again, that says a lot. La tua comica televisione: I really like and enjoy your music keep on making great music and never stop creating. Growing up as a little kid I use to listen to all types of music keep on making great music and never stop creating. Hello, I’m not a fan of your music genre but your track senza arrivare mai caught my attention while I was browsing Discover page. How do I buy this tune on here?! Peace. Testimone: This is a great song. The guitar and music pulled me in right off the bat. The words flow smoothly and I wish I spoke the language, I would love to know what the song is about. It is a very great song and conveys a very happy mood. Awesome job and keep up the wonderful work. Il viandante: Melodically the music could have more movement in it with more key signature changes to keep it from sounding to monotonous. It is a very nice up tempo song but the vocal arrangement seems to take away from the happiness of the song. Be a bit more expressive vocally. Good vocal harmonies though. Overall the music recording production is nice and clean, well balanced throughout the song. Very good guitar work in this tune. Ricordi: I am not bilingual at all so I don't know what the words are, but it wouldn't be the first time. I love world music. I love this song. Great voice, great musicality, Very pleasant all the way around. Keep up the great song writing! Il viandante: A great piece of chilled music, you have a nice laid back vocal style. Though I don't speak Italian I found it good to listen to.Maybe let me hear some more of your material. Best wishes for the future my friend. Steve and the band. Ricordi: A very interesting track, which builds continually from start to finish. I can't comment on the words as I am an English only speaker. The percussion once it starts drives the song well and is in keeping with the well balanced instrumental mix. Nice congas. A stand out track as far as this site is concerned and I would like to hear more from this songwriter/performer. Hi. Your music sounds better than radio stations spin nowadays. Testimone: Catchy country tune, nice loping tempo makes your foot tap. given it is not in English, I don't have much to say on the lyrics. The vocals are well-delivered, nice sound, nice range, the expressive sound in the voice conveys a message even though I can't understand the words, but the song makes me smile and has an uplifting "feel" to it. Heartily recommend this song to anyone who just wants to tap their foot and smile. Senza arrivare mai: Very soothing and exquisite. Like the arrangement and flow of the song. Takes me away to a place beyond the realm of planet earth. I will turn friends and family on alike and recommend your music to all. Thanks for the trip. Senza arrivare mai: Kosmic Soul to its highest psychological height. Check this One Man band sound. Guaranteed to help you chilling out and makes your spirit fly high as light as some good Kali smoke. Big Up Mauro Cipri. Come potrei: The first thing that hit me was the relaxed guitar intro with the phaser on it. The chord choice and progression leave you feeling heady, like you are walking down some mystical path and not sure where it leads. The vocals grow on you the more you listen, the chorus is mesmerizing. And I do really enjoy how Mauro has recorded in different sound effects to add to the mystique and general mood of the whole song. Very impressive considering he has performed this as a oneman band loop station. Nice job Mr. Cipri! Il vicino di casa: Mauro has done an amazing job with this song in capturing an atmospheric and interesting ambience. Along the lines of Radiohead and Black (for those of you old enough to remember that). Lovely arrangement and a great vocal / harmony mix. I will definitely look out fro more from this artist! Il viandante: Hi Mauro, Nice sound you've got going there. Vocals a little quiet, but I'm not listening on a fantastic system either, so it could just be that. Effective use of loops, something we've never tried, but they're very popular these days. You've got a good feel for the style you're playing, and I like the subtle key changes between verse and chorus. Keep up the great work, sounding great so far! Il viandante: Nice Intro and well mixed and finely produced. The use of Acoustic guitar and keyboard layers add to the the overall feel of this song. Since I do not speak Italian, I do not understand the lyrics which sound great and well sung.Obviously Mauro has had a lot of training and is well versed at looping but this song does not sound like a Looper song. IE; repeated phrases. This song is a fun song to listen to, and I am hoping someone will send me the translation of the lyrics. I could Google it..But I am patient. Great solo at the end of the song as well. Stampa Can't get enough of Il viandante. Love It and will be replayed many many times in my list of favourites!!!!!! Il viandante: Although I'm not fluent in Italian, therefore unable to understand what message is being conveyed lyrically in Il viandante, Mauro Cipri's hypnotic velvet tone evokes visions of sunshine and good times on this catchy mellow track! Testimone: Good country feel. I do not speak French so I know not what the song is about and can only comment on the feel,production and musical contribution, all of which are very good. The song is engageging, uplifting and has good follow through. I like the consistancy of the backing guitar. The backing music is very solid and provides a great foundation for the lyric line. Great job. Wish I knew what it was about, but I get a sense of that from the mood of the song itself. Thanks for doing this! Ricordi: I like à song that is felt, not just heard. Within the very first notes on the guitar, this occurs. The guitar playing is very good, consistent and has a real nice flow. The backing accompaniments are tastefully presented. Good vocal treatment, attaches nicely to the foundation of the music. Overall, very nice job and well done. I like the electric guitar solo too, just when you think the song is going to end. Testimone: Hi Mauro, you have a nice tenor voice. The song reminds a bit of a western movie, with the hero riding on his horse in the desert. Especially the mouth harp makes it all complete. Very nice and entertaining song. Good mix and not overproduced. Although not in English, it appeals enough to forget the difficulties with the language. Good melody , good structure. It's the first song from you that I hear, but I want to hear much more from you. You flagged it as rock and folk, but for me it's more a folk song (even country & western if you like). I'm curious about your rock songs ... Keep up the good work ! Il vicino di casa: Mauro Cipri brings us Il vicino di casa or The neighbor in italian. The song from a listener's perspective has a very tasty combination of early The Smiths, U2 and other mid 80's mod-electronic based popular groups at the time. From a producer's perspective the song has a full wall of sound but there is little beyond the initial panning of instruments any true sense of stereo depth. It is also highly compressed in its mastering and most of the dynamic range gets crushed out at the peak moments of the song. Testimone: Spirito Cantautorale. Nella migliore delle tradizioni cantautorali italiani con spiccato accenno ai sound internazionali, tipiche di alcuni brani del repertorio di De Gregori. I richiami al west country, e alle ballad americane. La profonda e calda voce, canta di un testo di denuncia. Direi un gran bel brano, arricchito da un' ottima esecuzione. Molto bene! Grazie per averlo condiviso! Ricordi: Intricate and interesting finger picking guitar sets a nice tone for this song. The chord structure is interesting as well and unpredictable. Though i don't understand Italian the pure musicality of this piece makes it enjoyable to listen to. I appreciate the combination of acoustic (guitar, harmonica and percussive instruments) and electronic instruments as well. Good job and wish you success! Testimone: When I see a song categorized as Rock or New Wave, plus Folk Rock I'm wondering what we'll be hearing. Here, I get the Folk Rock, but not the other 2 categories listed. The songs intro with guitar is catchy and fun. The vocals in Italian are on pitch, in tune and enjoyable to hear. I think that's one thing I like about non-English songs, you just enjoy the vocals without trying to get the story in the vocals to distract you. Nice song. Isola di polvere: This Song has very beautiful atmosphere! There are interesting Synths-Sounds mixed with clean "classical" Guitar and cool groove. There are also some surprising Chords.... Well done! Greetings from Vienna and take care! Come potrei: Finally found one. Hi, Mauro. I really like the song. I have no idea what you are saying since I do not understand Italian but the song is very good. Recorded pro too. I am also a one man band but it's all good. I will check out and review other songs of yours as well. Try and get the word out there, man. Bo - The Spiders. Senza arrivare mai: it sounds like dead can dance: dark, melancholic, morbid. not bad but dead can dance still excist. otherwise: it is quit interesting that you make such dark music but you are from italy, where the sun always shines... go on! Ricordi: Good blend of folk guitar and harmonica with more modern sounds- I like the mellow synth sounds. It's a pretty song- the melody line sounds traditional and I like the deep baritone of the singer. Good voice, relaxing to listen to. Ricordi: Love this song ! It's a beautiful sound with a sense of mystery would love to hear an English translation as I feel the lyrics are probably really strong as well but my Italian is a bit weak ! Only suggestion is to remove or dull down some of the finger squeaks as they came out quite strongly at some points I thought. OItherwise great, one for my list of favourites ! Isola di polvere: What a light fun song to enjoy. This is classified here as rock, new wave and folk rock. Maybe folk rock, but more new age for a classification. I wish I understood Italian so I could understand the lyrics to the song. However, that may be more of a good thing because now I'm listening to the singers voice, tone, melody and find his approach nice and charming. I wish you much success! You are awesome. I just searched on N1M for new stuff and found your Isola di polvere, then proceeded to listen all of your music from your page. Keep it up, I love it. Hi! I'm in japan and played your music here, people really like what you do. Good luck in your future endeavours! I'm following you here already but what's your facebook? I'd love to send you my LIKE there as well)))If you don't mind of cause. Come potrei: Great intro, good Sound. The vocals are a bit too low and could be a bit "clearer", a bit more "in the front". But Overall this is a real nice song for Relaxing, closing the eyes and dreaming away. Unfortunately I can not understand what the lyrics are about. Testimone: Mauro, this is a great, easy flowing sound on this tune. Very well polished. I can only imagine how it sounds live! I am a live guy, so that's how I think of this tune (I think the more natural sounding the better - percusion is a little spread, in my opinion, I'm curious how that would sound coming from a single location in the mix, but not a deal breaker, just a curious point). Energy to this song has a wonderful atmospheric ease to it, I'd love to set your stuff on at a party or on a patio for brunch at some cafe. I only wish I understood Italian! Senza arrivare mai: This song starts out with a jazzy-techno feel intro with some Soft Cry like Voicings laid in.I'm liking the interesting Techno-Jazzy Musical Feel throughout,it blends so well with the Seal inspired Vocal Melodies/Tone.Seal is a Grammy Award Recipient for a Reason my Friends.At the end of the track there is a Sweet techno sequence with a Beautiful keyboard swell that takes you nicely out..In Retrospect of ""Senza Arrivare Mai""..I Find It a Relaxing yet Very Much Interesting New Age Adult Contemporary Song.It Goes Very Well with a Glass Of Wine.Cheers! Ricordi: I really like the way this begins almost like an old 70's rock song - reminiscent of The Rolling Stones or Led Zeppelin but with a folk twist. The vocals make me think of a cross between The Beatles and Blur (why Blur I don't know, but that's what comes to mind...Possibly thinking of Blur's Wassailing Song? ), but I like the haunting quality they bring to it (and the background instruments). I like that it's a folk song, but could also work as a fully fledged rock song - an experiment I'd like to hear. Thoroughly enjoyed this one. Ricordi: A beautiful guitar Influence/style of Lindsay Buckingham (Fleetwood Mac) incorporated in this folky contemporary Song.A Soft vocal tone with some interesting voicings found mid song and near the end of the track.A nice Folk/contemporary Song with a slightly erie edge.Very Unique! Testimone: Very upbeat and keeps my foot tapping throughout. I like the classic jangle of the guitar and the changes in the the melody of the lyrics. All in all, a very enjoyable song to listen to and I'd like to hear more from Mauro. Hi Charlene! Thank you so much! You are very kind .. It makes me immense pleasure! Thank you for your support!!! I have just a few favourite artists and you are one of them! I feel so honored by sharing your music and i love this feeling to be helpful for you in any positive way!!!! Hello Darrell! Thank you so much! 🙂 I was very pleased! Thank you! Il vicino di casa: Great sound well produced relaxing music !I like it a lot keep up the great work. music makes the world go round ! I could hear your sound as backing music for TV and movies or film .Hope this review finds you having a great day ! hi mauro. great stuff. I have posted you on our muddy sand Facebook page..
Muchas Gracias! :)) Me hace muy feliz! Thank you very much Gregory! hey i was browsing for some new good music and came across your wonderful sounds! 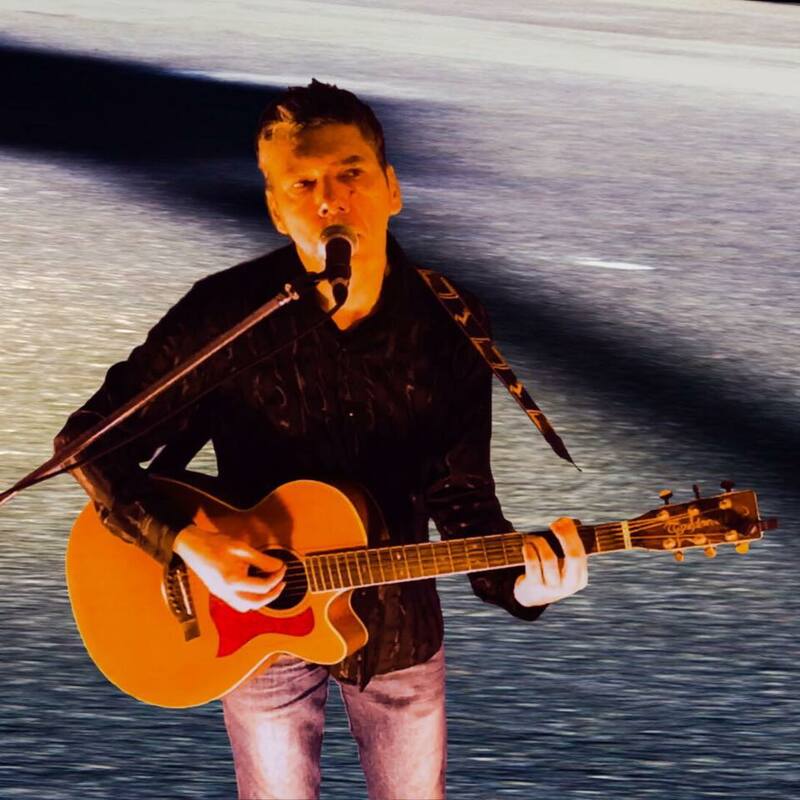 I've just joined your network to recommend your music on my facebook and earn blincoins. Keep in touch! come potrei please put it on buy or download mode. thx I love it! Thank you very much Alison!! Isola di polvere, I love this tune so much! It kept me hooked and I kept listening to it on replay. While I'm thankful for your music. I want to pay for the album on itunes you deserve my money. Im gonna search for it right now. May you spend this holiday season, With love, peace and joy! Hey, It's nice to hear from you. Just let me know if you need any help and I'll do my best to support you! I wish you all the best from the bottom of my heart.??? Thank you so much Jo! You are very kind! .. Thanks for your support .. Good luck to you too.. I wish you all the best and hope that all your dreams will come true! I'll be passing your music on to my friends, so perhaps some of them will follow too. I must say that IL VICINO DI CASA caught my attention, incredible stuff. keep on! hi..thank you very much Ariel! your message makes me really happy ..
Hi! when i shaed your tune i got some response from my friends and a few of them really like it. Good luck in your future endeavors! Thank you brokerv.. if you want there is direct link here http://www.maurocipri.it/downloads/singolo-isola-di-polvere/ Or looking for mauro cipri on web site amazon or iTunes Thank you very much! loved your Isola Di Polvere .. I would soooo buy it, Is there a way to get it? Hi! I just stopped to show my support for your music. Thanks for creating great music that we(fans) want to play over and over. Ahhh.. Augustin thanks! I hope to do it soon ..;) I'm recording new tracks .. I hope soon to publish them .. 🙂 thank you! I really enjoyed listening to 'Il vicino di casa'. If you ever release a new album, I'm going to buy your album. lol So yeah, keep up the music. Wow - you are amazing - I found your site and I can't stop listening! Hi Roscoe! I am very happy..:) Thanks! Well, i like isola di polvere. I love your music! You have an amazing talent. Thank you for sharing! do you have youtube channel? Thank you, because magic may not be real.. but your songs are truly magical! Hi!! your music is absolutely awesome and reflects my mood for today. i will follow your updates here and share your stuff as often as i can..all the best!! Hi Roshel! Thank you so much! 🙂 I am very pleased .. If you want you can listen to or download my music at this link as well as on iTunes;) Thanks! HI! FIRST, I REALLY LOVE YOUR MUSIC! SOMETIMES I THINK MUSIC SHOULD COME WITH A WARNING: CAN TAKE OVER BODY & MIND! hi. i'll admit, i just stumbled upon your music by referall from my friend's post on facebook...I like it! i look forward to listening to the rest of your music. Thanks Minnie .. if you want this link there is my discography including an older set 'il testimone dei ricordi' http://www.maurocipri.it/discografia-mauro-cipri/ You're very kind! Hey I must tell you that I am so impressed with your music. Are you going to upload new tunes anytime soon? Ciao Mirko! Ma grazie..:) Mi fa un grande piacere.. Un fortissimo abbraccio anche a te my friend!! Un forte abbraccio a te che oltre ad essere un grande amico, sei un grande artista, dinamico e pragmatico! Ciao Mauro, un saluto dal passato remoto e rombante! M.
Ciao Marco, grazie! Mi fa molto piacere! Ciao Fabry! Grazie per il messaggio! Mi fa un sacco piacere! Ti ringrazio molto...e crepi il lupo!! Ci vediamo in giro per Quinto...Ciao! Grazie cugini!! Troppo buoni... 🙂 A presto! Hai creato un sito molto bello..Bravo! Mi sono collegato al tuo sito e ho ascoltato le tue canzoni... Sei un grande Mauro, sto diventando un tuo fan! E ho potuto ascoltare bene le parole. Grandissimo. A presto. Ciao Mauro ho visto il tuo sito, con un sacco di contenuti...davvero interessanti. Ti faccio un grande "in bocca al lupo" nella speranza che i tuoi sogni musicali si avverino, perchè la tenacia, io ne sono sicura, viene sempre premiata. Ciao!